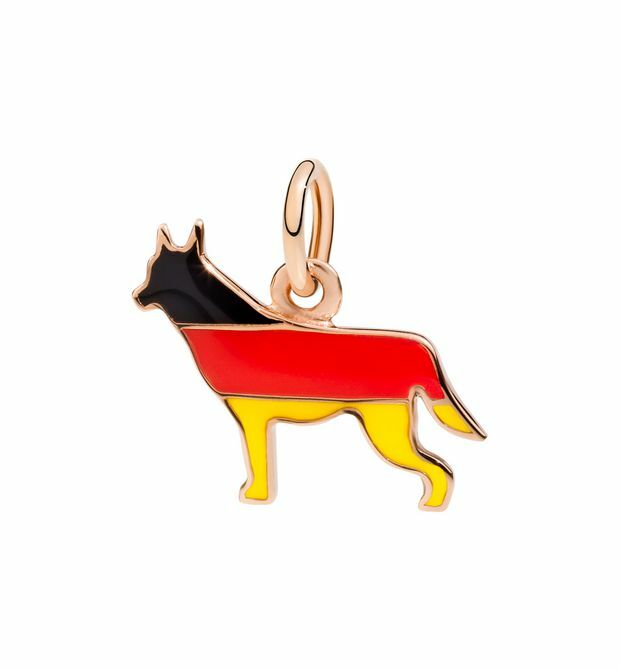 9 kt rose gold German Shepherd charm with black, red and yellow enamel. 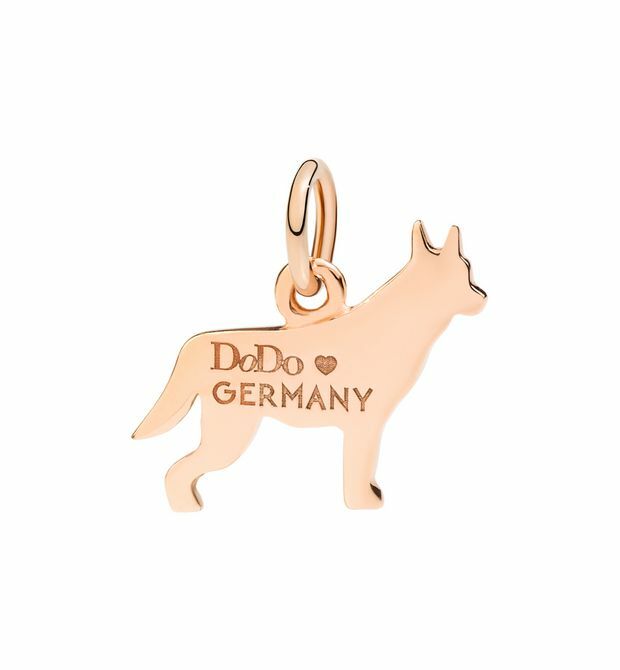 'Dodo ❤ Germany' engraving on the back. Black cord included.